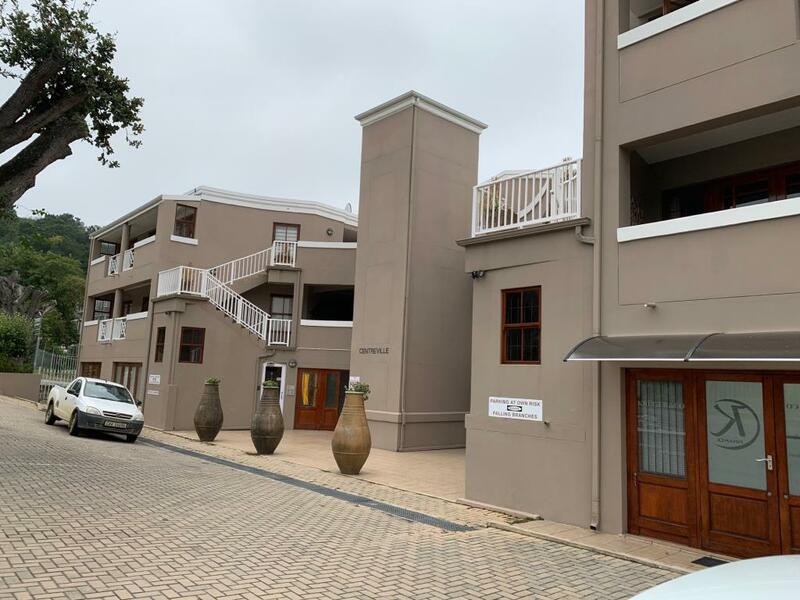 Three stylish offices in a secure building in the center of Knysna"
Modern offices in a very secure building. There are three offices behind glass panels, as well as an open area that can be used as a boardroom or waiting area. A kitchenette and small store room also included. Security system and modern lights compliment the stylish finish. Air conditioning throughout will ensure comfort. A double door leads onto an open balcony which is completely private and secure. There are communal toilets available. Two secure undercover parking bays are included.